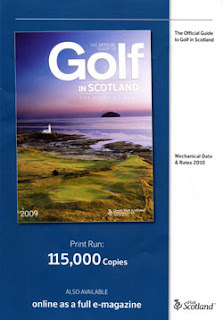 Advertising space is still available for the 2010 Official Guide to Golf in Scotland published annually by PSP in conjunction with VisitScotland. There are 115,000 copies being printed for distribution at travel and trade exhibitions and in response to marketing campaigns. The headline is clear enough - Ryanair Add New Routes to Prestwick. Good news for the airport you'd think until the detail reveals that it is an increase in outward facing routes to sun destinations at the loss of Stockholm Skavsta and Frankfurt Hahn. The loss of these routes are not quite on the level of seven hundred jobs losses at Johnnie Walker but deeply impactful all the same. Germany and Sweden have provided Ayrshire hotels and golf courses with substantial business over the past five years and the loss of these routes is going to have a serious impact on the revenues of a significant number of hotels and golf courses. The long term worry is that Prestwick will see a permanent shift from inbound routes to outbound. Okay from an airport point of view any direction is good; from an economic point of view however it moves Prestwick from being an "exporter of Scotland" to an importer of sunshine destinations. That is not the fault of Prestwick nor a criticism but it does reinforce the point made a little less than a fortnight ago that the hospitality businesses in Ayrshire have taken for granted inbound business from Ryanair and Prestwick. Instead of nurturing the markets and establishing business relationships it has sat back and assumed it as a given. The responsibility, the blame lies with all of us involved in developing inbound tourism to Ayrshire. Now the routes are lost. The economic impacts are indeed going to be very serious for some at what already was looking like a challenging winter season. It makes the forthcoming visit of Jim Mather to discuss the status of Ayrshire as a key strand in Ayrsghire's tourism picture a little more difficult to substantiate. Isn't it Great when Tourism Matters? The detail, planning and implementation of the Homecoming Scotland feast may raise issues in my mind but as said in previous posts the concept remains and whilst not spot on pretty close to the mark. The theory would be that pulling at heart strings is a strong motivator in isolation for a tourism purchase. Add to the ancestral emotions a series of high profile events and you have a potent mix. Over the past couple of weeks we have seen that very much in practice both with the help of PR Scotland and without. The Gathering was the showcase event. It was aimed to bring together anything up to 100,000 visitors to Scotland for a coming together of chiefs and clans. As a showcase event it had to work or at least be seen to work and didn't you just notice that the government had pulled out all the stops to make sure the publicity machine was churning out the right messages and images ahead during and after. Now that's actually not intended to be as critical as it sounds but it will probably emphasise a later point - positive PR messages, and lots of them, is the oxygen that Scottish Tourism needs and therefore it's not fair to call for it and then cynically knock it when those in power actually give the industry some airtime. If the Homecoming achieved political ends then so be it; that's the way of the world and it would be churlish to turn down the promotional benefits to Scottish Tourism on that basis. So the positive is that "international events" create publicity for the destination and that destination was Scotland. Sure it was hosted in Edinburgh but the PR message going out was Scottish. That is the role of destination marketing and the message was broadcast clearly and received well worldwide for a single reason. The common purpose had been recognised and the key bodies worked together to achieve the public aim. This was backed up in a piece written by Peter Lederer in The Sunday Herald on the weekend of The Gathering. The first few paragraphs highlighted the [unqualified - my word] success of Homecoming 2009 and made me worry that this was going to be about drum beating. It wasn't. The rest of the article made the point clearly that change must happen in the industry for success to come. He said, "We have shown ourselves to be a nation of innovators, with a natural propensity to warm hospitality. And the loyalty that this country attracts from its diaspora is second to none. But like any other assets in any other sector, these strengths must be developed, marketed and delivered above and beyond the customers' expectations. Are we meeting these? Despite all the progress of recent years, I am not satisfied that we are." Succinctly he noted the positives - "iconic locations and facilities" - while focussing on the shortcomings with Scotland needing a "more commercial approach and...higher standards, better training and - most critically - by an approach that eschews bureaucracy, eliminates duplication and increases efficiency and the pace of activity." This paragraph is perhaps the most telling of all and it is one that many in the industry have been calling for. Actually that's not fair, screaming for, over an extended period. Those involved in the sector know the public sector bureaucracy involved is nothing short of criminal. Has anyone tried to secure Growth Funding recently? It can hardly be described as increasing efficiency and pace of activity that's for sure. "to start marketing Scotland as a whole and not confuse visitors by splicing and dicing all we have to offer." Unfortunately, this fragmentation has been done pretty much under Peter's watch albeit not by design. The restructuring and abolition of the tourist boards gave a great opportunity to centralise functions such as finance, personnel, and administration and empower the regions to work freely on establishing regional promotional plans under a national tourism marketing strategy. The cynics feared increased power and centralised planning to the core and a diminution of local input. It cannot therefore be a surprise to the management team at VisitScotland that this perceived outcome has lead to a plethora of fragmented DMO's with the M supposedly meaning "management" but in reality being substituted for "marketing". VisitScotland and successive Tourism Ministers created the monster that Peter Lederer now apparently agrees has to be slain "with all agencies, government, and industry pulling in the same direction". He calls rightly for a single focus from those bodies on growing tourism and on marketing and for the industry to take responsibility for its survival and growth with a re-evaluation of the public sector role. He recognises that "VisitScotland is not exempt from these changes and is committed to continuing to improve its partnership working as well." He finishes with Homecoming Scotland and he states that it "has brought the practicalities of partnership working into sharp focus. Well co-ordinated at every level of government, it has won support from communities across the country. The combination of great marketing, great quality and great people is how we will create success." And it is a point well made and emphasises why Homecoming Scotland may just have a legacy greater than the sum of its loosely tied events. Homecoming Scotland in areas of partnership and collaboration has shown what is actually achievable. It has emphasised equally what can go wrong and there are a plethora of examples of publically funded events in the category of we can do it better than then on our own. That mentality must be overcome. In restructuring the ATB structure the key principle was Scotland is better marketed together. That is an undeniable fact. If there is any public sector role in tourism is it in the area of Destination Marketing, create the image and awareness, generate the interest and desire and leave the action to the operators. The public sector fails in areas of event creation, it arguably fails in the distribution of financial support and grants with monies going often to those who know how to get it rather than projects needing it. How Team Scotland now deals with its fragmented communications structure is actually probably easier than it may seem but requires Peter to use Homecoming's lessons to good use and at a pace far ahead of anything that this sector is used to. Goals Down Plans Up is a simple strategic planning process but one that fails so often for want of structure. Structure is key to implementation and the fragmented nature of the already loose industry makes the challenge difficult but not insurmountable. Tourism purchase decisions are driven by a host of external factors but Scotland can still provide a consistent destination marketing message to which we can all subscribe - councils, Enterprise bodies, DMO's, sectoral organisations and private unaligned operators. Peter Lederer is a very smart operator and he knows the big issues and strategically over the past twenty four months in particular the move to smarter market focussed working has been marked. The destination marketing message, the segmentation processes, the overseas partnerships, the general professionalism on the whole deserves genuine plaudits. But for all the praise aimed at the higher level strategic gains, there must be realistic acceptance, even criticism, of the vaccuum left around Scotland and the consequences of that open space. I can only imagine the content of an action meeting with Peter Lederer and Jim Mather but I am actually pretty confident that the outcomes could be dynamite. Mr Lederer finishes his article thus, "The prize to be achieved, for each of those 20,000 businesses, is increased growth for Scotland. That is a goal we can unite behind." Ayrshire based Golf Tour Operator No Traps Golf have taken the step into what was previously their unknown! They've gone live this week with both Twitter and a new Blog. David Horne owner of No Traps Golf explained. "We've worked with Roy Anderson of Mclaren Travel over the years and he introduced us to his web developers The Edge. After a brief meeting we were persuaded not to spend our money on wholesale website changes but instead settle for a quick reshaping of some of the images, a rewrite of the main text and metatags for search engines and spend the rest of our time getting our message out in social networking circles." "Frightened me to death but after having our hand held through a couple of phone calls we're looking forward to blogging and twittering our way around Scotland's golf courses with our clients!" With the social media in place No Traps Golf can leave the website alone until 2010 and concentrate on rasing the profile creatively on the blog. "We can now take client images and have them online immediately; if we find a new restaurant worth recommending it too can be up there as advice for other golfers. We're really excited about how interactive the whole thing can become. Bottom line is we're now able to communciate with our past, present and future clients much more effectively and often with a bit of much needed humour." Ian McCaig of Ayrshire based The Edge was delighted with how David reacted to the proposals. "It's essential that the client has to see the potential benefits and when we explained to Dave what the effects could be, the penny dropped immediately. We're pretty sure that the web 2.0 tools will impact on his online profile and alongside the rewrite of his text and metatags we're sure that No Traps Golf will benefit from increased traffic. A Route to the Chinese Market? Not directly related to the Scottish Golf Tourism market but arguably very indicative of the way that things are going in the golf tourism world. In recent times the Scottish Government have been prominently pushing China as a critical emerging market for inbound golf tourism to Scotland. many in the industry recognise the potential but remain sceptical about when the benefits may accrue if at all. A press release received this morning indicated that the Jumeirah Group, the Dubai-based luxury hospitality company and a member of Dubai Holding, has been appointed by Agile Property Holdings to manage Jumeirah Qing Shui Bay Resort on the southern island of Sanya in China. Jumeirah Qing Shui Bay Resort is Jumeirah's fourth management agreement in the People's Republic of China after Shanghai, Guangzhou and Macau. The link to Scotland in this instance is the newly refurbished Turnberry Resort in Ayrshire which is operated by Leisurecorp (see below!). If Scotland is going to gain access to the premium markets in China you would think that it will inevitably be better placed to cross market and convert its premium world wide properties much more effectively than anyone else. When seeing Turnberry in this global context you can see how the minutiae of destination marketing becomes considerably less important. For certain Turnberry will always be seen to be part of the Ayrshire marketing mix and the kudos of being perhaps the premier golfing resort in Scotland but the importance of inter company marketing relationships becomes more important by providing a much more focussed and easier to convey message. So it's the butterfly effect again. Leisurecorp are fluttering their wings in China; how long before the warm economic easterly winds start hitting the Ayrshire coastline? Leisurecorp specialises in the development of premium golf and lifestyle destinations. In addition to Jumeirah Golf Estates, the world’s largest golf community, Leisurecorp’s portfolio includes Turnberry, Scotland’s premier golf resort and host of The Open Championship 2009, and Pearl Valley Golf Estates, South Africa’s leading residential golf community and home of the South African Open Championship. Leisurecorp is a minority owner of Troon Golf, the world’s leading luxury golf management, development and marketing company, and investor in GPS Industries, which provides GPS-enabled technologies for the golf industry. The company also has ventures in the marina and ski resort sectors. Interesting that Burn Stewart Distillers mention tourism as having played a part in another rise in sales and profits at the company behind Scottish Leader, Black Bottle, Bunnahabhain, Tobermory, Deanston and Ledaig whiskies. The company – which employs about 250 staff in its East Kilbride head office and at three distilleries – said tourism played a key role in growth with a 17 per cent increase in visitor numbers to the Bunnahabhain Distillery on Islay. I recall that there was some work being done in Homecoming Year with Whisky Month in May and I remember thinking that the Whisky Coast promotion and website had considerable merit. Can never understand why much of our overseas promotion is not underwritten or supported more fully by product sponsorship or support with or by the whisky brands. Seems such a logical collaborative move to make. The Whisky Coast is well worth a look regardless. Never really got my head around awards and nominations and voting for the travel industry but it doesn't stop you being nosey does it! Email through with the nominations for the World Travel Awards. Never heard of them before but if you've got ten minutes to scroll through a list (and that's just the European Section) it makes interesting reading. Well perhaps not interesting but it's a diversion anyway. About 80% of the way down there's a Scotland section as well for resorts, business, golf and we did notice that Old Course Hotel and Gleneagles had recevied nominations for European Golf Resort. I'm sure somewhere you'll be able to buy a very expensive table for ten for the event in Portugal in October! What Role TICs in the 21st Century? The headline in the Sunday Herald stated "VisitScotland to spend £500,000 on new image" and was followed by the article outlining how the word ‘tourist’ was being dropped from the title of tourist information centres to become VisitScotland Information Centres or VICs. The article was factual enough - a revamp of the centres, new colours, new logo was scheduled after "A £60,000 research exercise concluded that tourist information centres should be renamed "VisitScotland Information Centres" and VisitScotland admitting the 103 information centres lack "a common identity", and the "visitor experience is unclear". Unfortunately the journalist then misses the key question - concentrating instead on branding and imagery and apart from a final closing paragraph "The VICs will continue to provide free advice and help with accommodation, as well as new "self-help" options, such as online booking." - and asks nothing about the actual role of these centres in the current online marketplace. I remember being on the Tourist Board in Ayrshire possibly as many as ten years ago sitting opposite one of Ayrshire's most prominent hoteliers during a discussion about what TICs Ayrshire and Arran would have to close. His answer was quite succinct and in essence it was "close them all as they have no role whatsoever in the modern marketplace." His argument was that the overwhelming majority of purchase decisions were indeed made prior to departure - travel arrangments, car hire, accommodation, golf and activities - other spontaneous and less organised decisions on where to visit, where to eat, where to drink, where to shop were then made on arrival he argued but not based very often on advice from a TIC. You'll ask reception, or the taxi driver, or the shop assistant (anyone remember the goals of Welcome Host?!) but not very often will you enter a TIC to find somewhere showing the footie tonight. At the time I agreed and I think the situation is even more clear now. So what is the role of the TICs or VICs as we now must call them. Online reservations? The figures do not stack up here and certainly there are better ways of offering online reservations than manning 103 centres for the (relatively) odd booking for your next destination. And who does online reservations better? It's certainly agreed even internally at Leith that it's not VisitScotland.com. 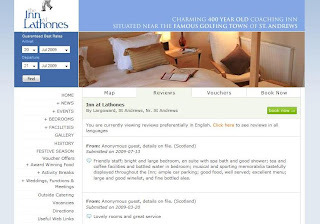 Hotels and Guest House all offer their own availability online and then there are the multitudes of OTA's (Online Travel Agents) all with rooms available throughout the country - is this public money still being used to concentrate online reservations in TICs to a single public sector supplier? Even in these days of open competition? Well actually yes it is? Certainly again an inefficient distribution method and not one that anyone would actually create at this moment in time. Tourism Information? Only a fraction of the visitors to any area base their next or indeed any purchase decision based on TICs; leaflet and distribution companies, wifi in hotels and restataurants, pubs and B&Bs ensure that inforamtion is available 24/7 from handheld held devices of laptops. Receptions and arrival areas at visitor attractions have more information available than any TIC can possibly support. A wasteful logistics exercise to say the very least. So what do we spend the money on? Research and redesign. Now I am certain, knowing their work, that Curious will have done a wonderful job on the rebranding but it does not shy away from the fact the there are 103 archaic and high cost institutions around Scotland that are providing little added value (and then only to a minority of the travelling public) at a time when public spending needs to be railed in. Politically is where you can find the reasons for their existence. It would just be too much of a fight to overcome local opposition to closures. The councils would be up in arms, they would claim it to be the death knell of tourism in the area and a massive reduction in services. Well would it really? VisitScotland, the Scottish Government and the councils need to understand that there is a not a single visitor bednight created in Germany or Sweden or The States or the rest of the UK by having this "network" of TICs across Scotland; there are no spends lost in restaurants because of a TIC being in the High Street. And in all honesty the advice that can be given (with of course the proverbial exceptions to the rule) could be received from any number of sources in hotels, or local shops, or visitor attractions at no additional cost to the public purse. In actual fact I think VisitScotland of the three above know all of the above. If they had a choice of rediverting funds from providing information locally to marketing internationally I'm pretty certain which one they'd select. The tranquil, picturesque parish of Strathblane is the idyllic setting of the Kirkhouse Inn, where you will always find memorable hospitality, d electable cuisine and outstanding comfort. You will now also find the Bookassist booking engine offering an on-line reservations to match the quality of the product. The site went live following integration of the booking engine at the beginning of the month and the results are already impressive. The system features images for every room type, integrated Google Map and management controlled Guest Reviews. 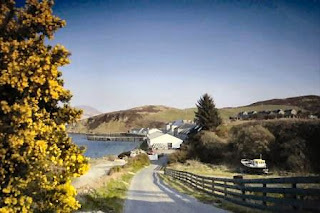 Have a look at the Kirkhouse Inn site or why not just book a wee short break away from it all! Okay, it's a feel good story from a Glasgow newspaper about Glasgow Hotels but the details make for very interesting reading. The Evening Times published an article on the Deloitte report highlighting that Glasgow is one of the least affected destinations in the UK. It's well written and worth a read - as are some of the comments below the articel. The study, "The Traveler's Road to Decision," released this week by Google, reveals consumer research and buying habits across the Internet. When it comes to searching for information on hotels, the study suggests that 81% rely on search engines when looking for business overnight accommodations against 67% for personal. In searching for best deals, consumers will search the Internet for information more often than any other source. Clearly then reviews influence the purchase decision, with 41% revealing they made personal plans; 50% for business based on reviews of others. An increasing number of travellers contribute to these reviews, too. In a similar study conducted in April 2008, only 9% of travelers surveyed had posted a review, 5% commented on a review, and 3% participated in a travel-related blog. Consumers rely on search engines more so than travel search sites, although online travel agencies remain strong with 55% looking for business accommodations and 52% for personal. The study suggests 64% depend on search engines to plan personal trips against 56% for business. When it comes to searching for information on hotels, 81% rely on search engines when looking for business overnight accommodations and 67% personal; 74% for business air travel vs. 59%; 60% destinations; 59% personal; and 51% vacation activities; 55% personal. Travel videos have also become important as people plan trips and videos created by peers are looked upon as being more trusted, compared with the videos that companies create in house. The study, "The Traveler's Road to Decision," was released from Google and OTX, and reveals consumer research and buying habits across the Internet. It states that business travellers are more likely to seek out money-saving packages, access travel sites from their mobile phone, and become a rewards travel programme member. The study, conducted between April 10 and 27, looks at general travel, hotel, car, air, cruises and destinations. The survey consists of responses from 5,002 consumers who have travelled at least once for personal or business reasons in the past six months. The majority of personal travellers still plan to travel just as much or more throughout 2009, compared with 2008. It has also become common for people to upload their experiences onto video sites, with 6% sharing personal videos against 16% business-related. Compare this with a study done in April 2008, where only 4% of travellers surveyed had uploaded their own travel video in the previous 6 months. Time needed to digest the full report perhaps - you can view a very very poor version of the presentation which we found on youTube below. Needs patience and a hearing aid! Ryanair Schedules - Scottish Impacts? Another day another piece of bluster from Ryanair's CEO. However in saying that if you can cut through the hyperbole the reason for worry for Scotland's inbound tourism market is very real. The release states that Ryanair is cutting capacity from Stansted by 40% this winter and the number of aircraft based at the BAA airport will be reduced from October to 24 from 40 being flown this summer. Apples and oranges comparisons perhaps as it is comparing summer schedules with winter although as we understand it there is a small decrease of two aircraft from the same time last year. He was quoted thus,"Sadly UK traffic and tourism continues to collapse while Ryanair continues to grow traffic rapidly in those countries which welcome tourists instead of taxing them. Ryanair’s 40% capacity cutback (sic) at London Stansted shows just how much Gordon Brown’s £10 tourist tax and the BAA Monopoly’s high airport charges are damaging London and UK tourism and the British economy generally. The final two points do indeed have some merit and their impacts on Scotland could be felt badly in the future. The BAA break up is one that continues to worry us most. Not worrying about whether it will be good or bad for Glasgow and Edinburgh as we're pretty sure they will continue to survive with perhaps some rationalisation and market shift. 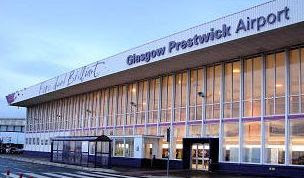 The big question will be what is going to be the knock on effect to Prestwick Airport? The airport is reliant more than ever on the traffic generated by Ryanair; the slow seepage of routes to Edinburgh is extremely worrying and can only get worse should Glasgow and Edinburgh be under competitive management; will Ryanair stay loyal to Prestwick should the non BAA airport start courting them as a hub? We think that highly unlikely. The Prestwick situation post BAA break up seems to us to be the elephant in the room in Ayrshire with little apparent public concern being raised over the (worryingly logical) consequences of the BAA break up. Not intended to be scaremongering but in any SWOT analysis (are they still done?) it would certainly make it into the Economic Threats category along with Johnnie Walker's planned closure in Kilmarnock. In retrospect, the only thing it lacked was the Happy Ending. Of course The "it" was The Open Championship at Turnberry in Ayrshire last week. If only the eight iron had landed more softly, if only Tom Watson had chipped or, to put his finish in perspective, if only Cink hadn't played the last two holes in three under par! But in the long term the winner must be Turnberry. A whole host of questions about whether the course was up to it; whether the hotel would be ready or the roads handle the traffic or potentially disastrous attendance figures were put about in the industry and the press. In the end however Turnberry once again proved that golf is much more than one single element; it is eclectic and Turnberry drew together all of the elements to showcase a region and a country better than any tourist board or marketing campaign ever could. The views of the coast line looking towards Ailsa Craig and The Isle of Arran were simply magnificent and as good as anything emanating from any other coastline in the world. Even the mildly annoying Boss Yacht played its part in showing how much fun the sailing waters of the Ayrshire Coast were and we'd be delighted if they want to send us a photograph to use it widely! 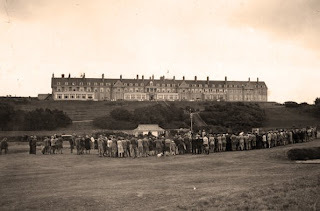 It was a shame however that the notion that Turnberry was somehow difficult to reach kept on being uttered by commentators and journalists and even in the winner's speech. But then again is it a shame? Yes perhaps it is more difficult to reach than some courses or resorts but therein perhaps lies its unique selling point. Maybe we should be promoting Ayrshire as a hideaway? Truth is Turnberry was and is only thirty minutes from Prestwick Airport which with Ryanair means less than three hours from Germany, France, Italy, Spain, Sweden; two hours from Stansted and the south of England and an hour and a half from the centre of Dublin. So with the recently announced closure of the Johnnie Walker bottling plant in Ayrshire with the loss of seven hundred jobs the TV coverage gave Ayrshire folk something to be very very proud of, it was indeed a good news few days for the area hopefully bringing with it an Open Bounce - an increase in visitors, spends and incomes. More than anyone playing in The Open, Ayrshire needed this victory the most. The old adage borrowed from another industry of, “Retail is in the Detail” should be applied to how you promote your Rooms online. Customers who want to purchase online have the same needs and wants as those that come through your front door. Is the rate good value for money? Can I picture myself staying in this room, at this hotel? If you are on an accommodation website and these questions cannot be answered then you are much less likely to book online. In some cases you may grudgingly call or email the property, if you really really want to stay, but it’s just as easy to go back to your search engine and find another hotel website which can answer your questions. It is these principles that has driven the development of Bookassist's online reservations booking engine. Every Room Package loaded onto a Bookassist Booking Engine benefit s from clearly displayed rates, high resolution room images and lot’s of descriptive text, together with an accurate reflection of any applied discounts. You can see the from the example image that the customer is drawn towards the discount information presented in brighter colours, thus illustrating the value for money. They can also see an image of room itself, which will expand when you mouse over it. And underneath the rate information, (which helpfully spans 7 days) there is significant text descriptions that is persuasive and alluring. As we all know Customer Reviews can be a very useful tool when deciding where we should be heading off to. Whether it be a First Choice resort in Egypt or a business venue in Edinburgh we're pretty quick these days as consumers to hit TripAdvisor before we go too far along the line. And of course that's what our own customers are undoubtedly doing as well and in recognising that fact (not necessarily liking it!) we all have to ensure that our consumer profile on-line reflects our businesses as we would wish. James Kennedy from Bookassist Scotland explained to us that the company ethos is to help accommodation providers drive traffic to their own website; always has been and always will be and that it made perfect sense to put Customer Reviews onto the reservations system to ensure that reviews could be seen from the hotel's own site. He explained the process, "Once a client who has booked using Bookassist has left the hotel, they will be emailed asking them to rank and review both the system and the accommodation experience." "The former helps us identify where we may need to support a hotel or improve our reservations service but even more importantly the second allows you to get a very quick turnaround on your guest comments." Sure, you may not to publish them all but even poor comments can be used to retrieve negative publicity either through the guest's word of mouth or if he's web 2.0 literate his posting on to TripAdvisor or other travel sites. It would seem clear that Guest Review Management simply has to become part of your PR/Customer Relations/Market Research and very necessary to spend some time in this area to improve your service, identify problems and in the end improve your bottom line. To make this easier, Bookassist's latest upgrade now allows all administrators the ability to manage their own guest comments choosing to either reply or publish each one. They also provide on request an easy to understand guide on how to manage guest reviews made on TripAdvisor. Having just come back from Egypt, one of the striking memories was how a brief visit to Cairo can reinforce the need to respect cultures of those you are visiting - without any effort it is easy to cause offence or at the very least discomfort. However that is two way and whilst religious doctrine in downtown Cairo may cause some eye brow raising at European dress it does no more. It allows the freedom of tourists to dress in their own way not only for economic reasons but for reasons of social acceptance. So is it not astonishing that here we are in the 21st Century and there is still an argument about whether a boat can bring visitors to and from a Scottish island on a Sunday? Respect for religious beliefs is a given until those religious beliefs impinge on the freedoms of others. Surely? If the hotelier wishes not to open their hotel, or their bar or their restaurant that is their perogative but as I recall CalMac previously received legal advice who said it would be unlawful to refuse to run a service because of the religious views of just part of a community. The opposite case was put by The Lord's Day Observance Society who after taking their own legal counsel they said that a six-day timetable did not erode an individual's human rights unless access to a ferry was denied on religious grounds. "If a service is being provided, for example a ferry is running on a particular date, it would be unlawful to deny that service to any person because of their religious belief or lack of it." "To any person?" What about to all persons? Read the BBC article on the proposed service. According to business consultants Deloitte, Glasgow hotels are apparently faring better through the recession than those in other British cities, with Edinburgh not far behind with both heading the stats for occupancy and earnings from their hotels, according to analysis by Deloitte business consultancy. The UK figure showed a fall of more than 11% in the first six moths against last year but Glasgow saw only a 1.6% fall, and Edinburgh only 4.5% down. Glasgow hotels achieved 72% occupancy with the average room rate dropping by less than 1%. Marvin Rust, hospitality managing partner at Deloitte, said that business "could be buoyed by strong domestic demand for tourism this summer as more Britons holiday throughout the UK". He said British hotel business had held up "exceptionally well" in the global economic downturn, down by 11.1%, especially when compared to other countries across Europe, some of which were seeing RevPAR drop by 40%. The results aren't overly surprising perhaps given the currency exchange rates and even the recent weather but any idea that this level of success is here to stay is a dangerous proposition. There are many who would suggest that what happens post summer will give a greater indication of the real strength of Scotland's hospitality sector. Working on maintaining shoulder and off season business will be critical for the industry as a whole. TripAdvisor - Good or Bad? We saw this article a few days ago on Hospitality eBusiness and thought it would be worth publishing from a Scottish perspective particualrly as VisitScotland are still swithering on whether their formal links with the national tourism portal is indeed good or bad for business. First of all here's the position as stated by VisitScotland.com website. "As part of our ongoing commitment to improving customer experience online - and increasing sales of tourism product as a result – VisitScotland.com is teaming up with TripAdvisor, the world’s number one travel review website to provide independent feedback on Scotland’s hotels." "TripAdvisor will provide reviews from real travellers of almost 1000 accommodation providers across Scotland who currently offer online booking. We believe the real benefit of this will be seen in terms of increased bookings for participating accommodation. Unbiased user-generated reviews have been proven to turn lookers into bookers by using the trust consumers place on the opinions of travellers like themselves." They have always recommended against both of these options explaining why. Creating a link on the hotel website to the customer reviews page of the hotel on TripAdvisor. "Have you looked at your property page and your customer reviews on TripAdvisor lately? Have you noticed that the page is full of advertisements by all the major online travel agencies, all the major hotel brands, and many of your competitors?" You can see what they mean... Have a look at the VisitScotland Trip Advisor for The Marine Hotel in Troon as an example. It not only gives the hotel reviews but offers rates from various sources, list competitor hotels and runs sponsored ads down the right hand side. "By linking from your hotel website to TripAdvisor you are actively encouraging your potential customers to book with the OTAs or someone else." Current wisdom is that hotels should be increasing their own direct bookings through their own websites. Tripadvisor certainly cannot always be seen to be complementary to this goal - why push your clients from your website to a third party distributor? The TripAdvisor Review Widget is placed on the hotel website by uploading a special TripAdvisor code that “pushes” live customer reviews from TripAdvisor - in some ways this very similar to what is on the VisitScotland website. TripAdvisor promotes this as ‘friendlier’ than the above above because the hotel website visitors do not have to leave the site, and therefore will not be exposed to advertising by the OTAs and competitors - however if you click view all reviews you will be taken out. The issue of Lack of Control over Customer Reviews is also addressed In the author's opinion, "No hotel will ever publish a negative customer review on its website. Having TripAdvisor push live customer reviews to the hotel website creates the very real threat that negative reviews will appear on the hotel website as soon as they are posted on TripAdvisor. How do you control that?" We would disagree that accommodation providers will neverpost negative reviews; honestly made negative comments can play a positive role in hotel's website marketing if they are addressed and replied to stating how the situation has been resolved. nothing but positive reviews can be seen as a little false and too comfortable. 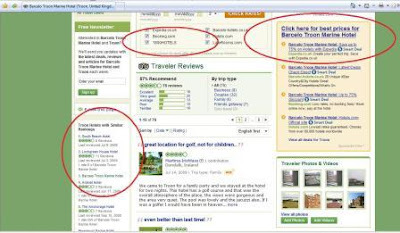 "However there is no way that you can filter out negative reviews with this TripAdvisor Review Widget and there is no doubt that when the competition discovers that you feature “live” customer reviews from TripAdvisor on your website, they can betempted to write a fake negative review about your hotel themselves." The final paragraph of the article certainly pulls no punches! "The industry in general should not contribute to the expansion of monopolistic customer review depositories like TripAdvisor. This site already has more than 30 million unique visitors every month. It already has a big chunk of the marketplace. Its closest competitor has only 5 million visitors a month." VisitScotland should not be using TripAdvisor on its site. Full stop. Period. Cosses Country House, the Luxury Bed and Breakfast Inn in the South West of Scotland has reintroduced Bookassist back onto their excellent website. Bookassist have been working on getting Cosses back into the fold for a few months and James Kennedy of Bookassist Scotland was delighted to have them going live just as Tiger Woods and company get set to tee off just up the road at The Open at Turnberry. 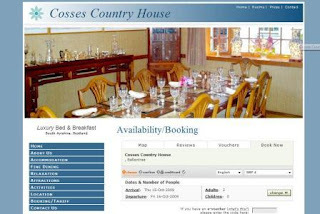 Cosses is another one of Ayrshire's premier tourism properties benefitting from the functionaility of the Bookassist online reservations system and join others such as Fairfield House, Enterkine, Gailes Hotel the new Woodland Lodge nearby and a range of B&B's and Self Catering operations. Cosses offers guests luxurious dinner, bed and breakfast accommodation in wonderful surroundings, 2 miles south of the fishing village of Ballantrae, in Ayrshire. It sits on the border of Ayrshire and Dumfries and Galloway, close to the sea, and is the perfect situation for exploring the whole of South West Scotland.